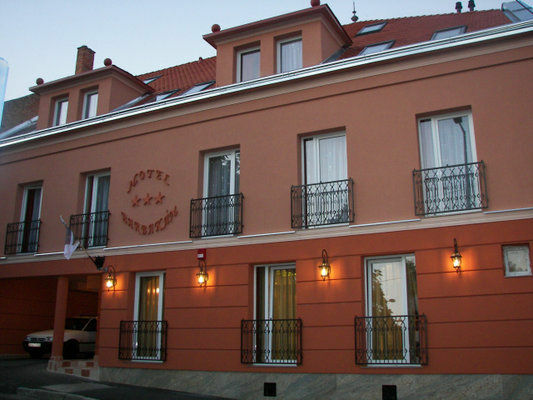 Comfort, culture, entertainment, and leisure - this is what Hotel Barbakán*** offers. We welcome you and your family at our central Pécs hotel, located just a short distance from the sights and entertainment venues of the city. You are in the right place if you are looking for a comfortable, friendly environment, coupled with attentive staff and full service. Hotel Barbakán is ideally located so you can quickly reach any destination, whether that be the pool, a pleasant coffee house, or a cultural event. The cultural and historical sites of Pécs are a mere few hundred metres (few hundred yards) from our hotel. Thus, with a few strides, you can visit the Basilica, Necropolis (Old Christian tombs), Csontváry Museum, or the location we were named after, Barbakan. Our rooms: modernity, comfort, quality - in short, this is how we can describe the design and furnishing of our rooms. The double or triple rooms are equipped with a minibar, phone, cable TV, high-speed internet access, and air conditioning - all provided for your absolute comfort. Rooms feature lift access and separate bathrooms equipped with either a shower cabin, a bath-tub, or corner bath. One extra bed per room is also available, upon request.